Caseone and I were planning on hitting somewhere a little further into the Kawarthas today but due to lousy weather reports and time constraints again we ended up at Scugog..... again. Launched up on the Island with the plan on staying close as the weather report and sky were not looking too promising. Started out looking like this, although it never did rain and the sun even peaked out a few times. So off we head out in search of Musky. The first few hours were unsuccesful as caseone hooked into this little bass and that was it for a while. After a few hours we decide to head to the more sheltered end of the island to try our luck, this is also where we got our fish last weekend. Shortly after we get there I have a good hit on a big white spinnerbait. Fish on, I believe it was a smaller musky as it was taking drag but it headed into deep weeds and I came away with no fish and a lure full of weeds instead. We drift the area for a little while longer and caseone has a musky follow up his bait. No taker and no more follow. So we decide to try another pass of the area and a few minutes later as he tells me he has a fish on a nice sized musky goes airborne. He fights the fish for about 45 seconds then the fish charges the boat and is off. So I cast in the same general area and the fish who just had a hook in it's mouth slams my lure boat side. While not the biggest musky I ever caught this was the hardest fighting fish I have caught. I was a little worried by the time it got to the boat as frst cseone had it hooked then I had it on and it fought with every bit of energy it had. Fortunately it was quick release and with some reviving the girl swam off to fight another day. We also stayed in the area for the next hour to make sure she didn't surface. The fish also got a little bit of caseone's blood with one last kick in the boat, just a nick. 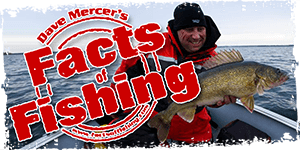 We have caught 2 muskies 2 walleye and 2 bass the last 3 weekends out and every single fish has hit nothing but the well known musky killer #8 and #10 X raps, not even fished as jerkbaits just a nice slow steady retrieve. All in all a nice day on the water and the rain held the whole time we were out. Hoping to finally make it back up to Sturgeon next weekend but we'll see if that plan comes through. Also does anyone else have a certain time of day they find most succesful? I have now caught 6 muskies I believe and caseone has got a couple and not one has been caught more that 30 minutes before or after 1 PM and that has even been on different bodies of water.. I'd blame it on the moon. Great Report. That looks pretty wavy for Scugog! Sounds like that musky was really enjoying the weather and really active. Thanks for sharing. Oh and if anyone happens to find 2 gramdma's floating around the lake with broken leaders, they're mine. Time to learn to tie my own leaders I think. awesome stuff, gott love those feisty Bog musky!